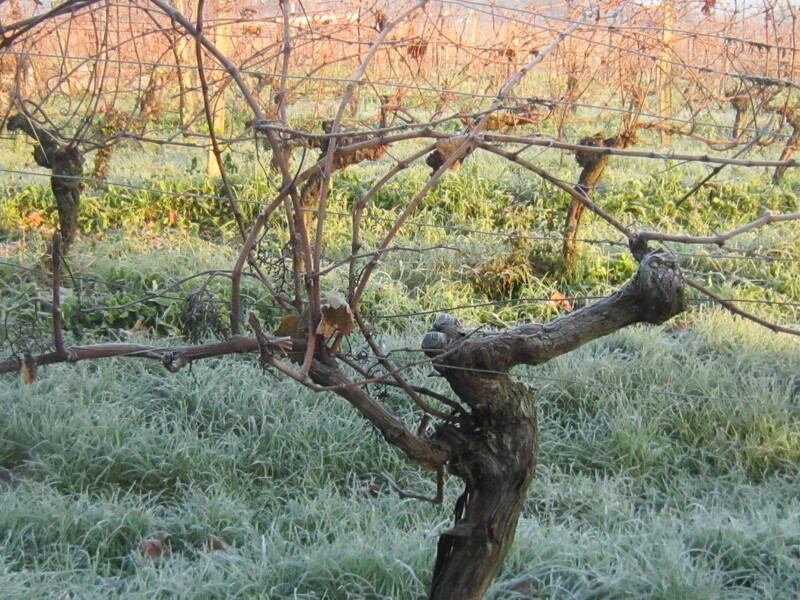 Bergerac Wine Region, SW France: ‘Jack Frost’ in the vineyards. 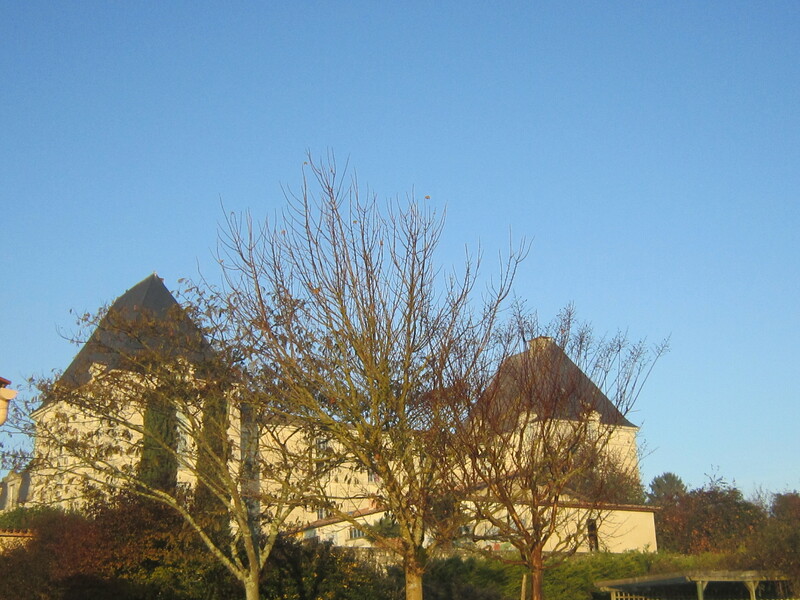 December weather in the Dordogne is often sunny yet cold. White frosts cover the ground and spiders’ webs freeze on the vines. It’s Jack Frost’s favourite time of year. A largely 19th century mythological figure in literature with roots in Anglo-Saxon and Norse winter customs, Jack Frost is the personification of frost and cold weather. This generally friendly sprite is a regular winter visitor to the Dordogne valley vineyards. 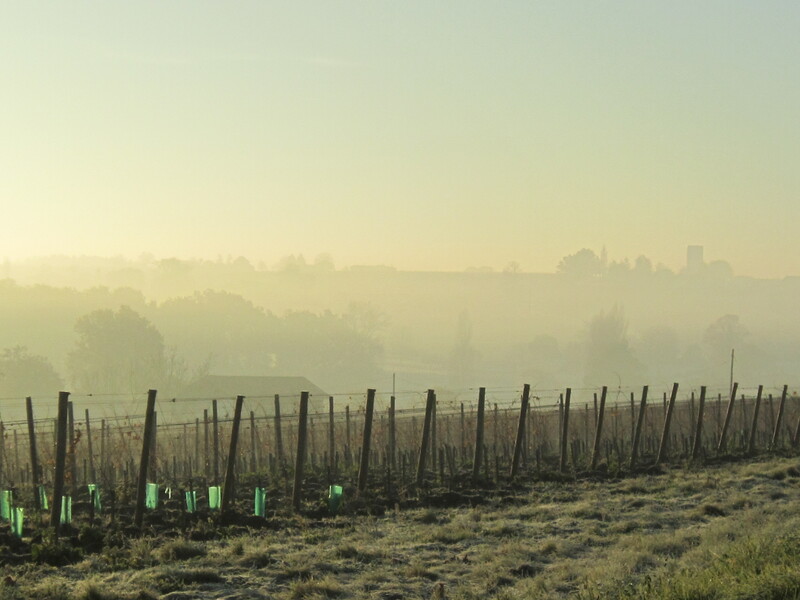 It’s chilly and fog often covers the Dordogne river valley in the mornings. Sometimes it rolls up the hills creating an ethereal landscape. Later in the morning, the sun usually bursts through on the higher ground and the blue sky returns. With the harvest completed, the hard work of pruning begins in earnest and will last through January. When we see a car parked at the edge of a vineyard we know we’ll see a lone figure working his way along the rows of vines checking each vine carefully. By now the vines themselves have lost most of their leaves. They are taking a well deserved rest. I hope my readers will be able to do the same over the holiday season. In the next post, I’ll write about champagne – the great festive drink – and our recent visits to several notable champagne houses. In the meantime, best wishes for Merry Christmas/ Joyeux Noel/Happy Holidays. This entry was posted in culture, French Wines, wine tourism and tagged Bergerac wine region, cold weather, Dordogne, Dordogne river, French wine tourism, French Wines, Jack Frost, South West France by elizabethsvines. Bookmark the permalink. Thanks for liking our 5writers blog! I’m particularly interested in your post because, well, I love wine (doesn’t that go without saying? ), and because I have good friends and former colleagues from Victoria who now live in Auriac-du-Perigord. Thanks, Silk for your encouragement. I hope you have a chance to visit your friends in Auriac-du-Perigord.